“Technology is great”, he assures us. “It is revolutionising our everyday lives and urging us to think differently about what we do and who we are”. This is true of personal assistants, who, like Google Assistant, could be confused with humans: they have human voices, intonations and vocabulary. Those working in this field are also exploring the physical similarities that make it difficult to tell them apart, such as emotions, gestures. They have it all. 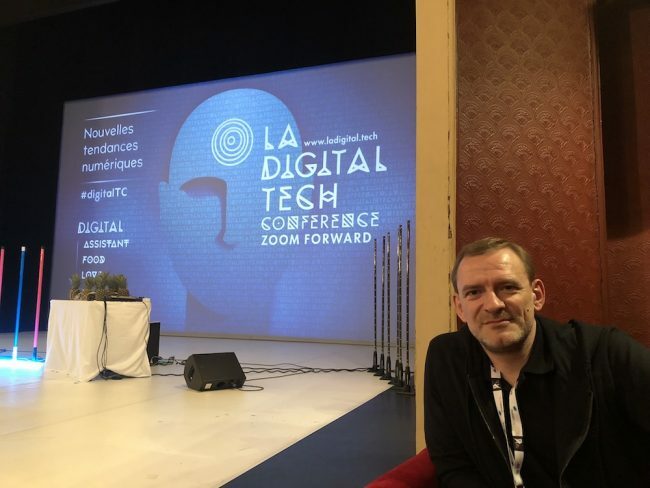 A year after he last participated in La Digital Tech Conference, Rudy de Waele experienced burn-out. “I realised that there was no meaning in anything I did.” So he spent six months in Spain in “philosophical training”, then headed to Istanbul to set up a new company. “I continue to lead conferences, but rather than speaking purely about technology, I have refocused my speech on the impact of technology on humanity”.